The Interstate 81 (I-81) corridor is Central New York’s and Metropolitan Syracuse’s dominant north-south travel and commuter route. Built in the 1950s and 1960s primarily as an elevated viaduct through downtown Syracuse, I-81 needs to be addressed as it reaches the end of its design life. 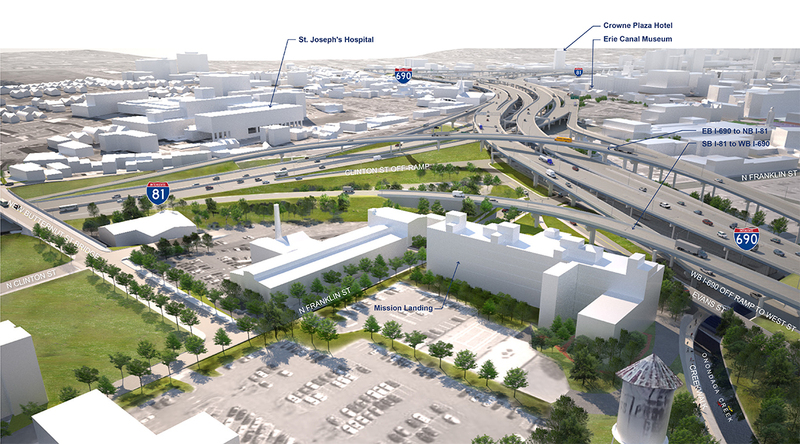 The I-81 Viaduct Opportunities Project is developing and evaluating feasible alternatives. Working with a diverse team of design professionals and NYSDOT, headed by lead consultant Parsons, TWMLA plays a key role on the design team, leading the Urban Design for all aspects of the project. For each highway design alternative, TWMLA is evaluating strategies for improving urban connectivity and strengthening the urban fabric. Under each alternative, we seek to maximize the potential to create sustainable land use patterns, contribute to the vitality of greater Syracuse, and improve the quality of the built environment. 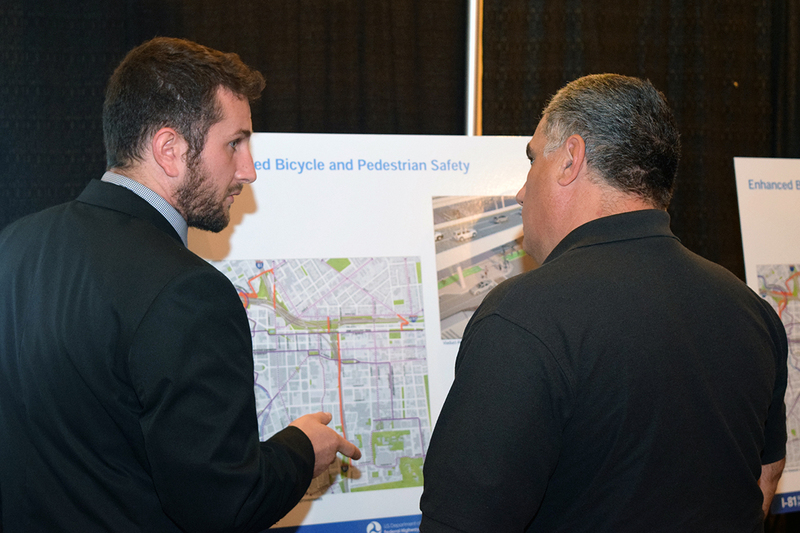 We are engaged in proposing and evaluating alternative design solutions for pedestrian and bicycle facilities in the city of Syracuse. Improving connectivity between existing local, regional, and state bicycle facilities is a project priority. Working with NYSDOT, the project team, and stakeholders, we identify opportunities to make improvements to the design alternatives to best fit with the community context. TWMLA is developing conceptual gateways at points of connection between the interstate system and the local street system. As the points of arrival to the city center, these locations could create memorable gateway sequences to emphasize the activity and vibrancy of a future Syracuse, while revealing the deep history of the city and region. 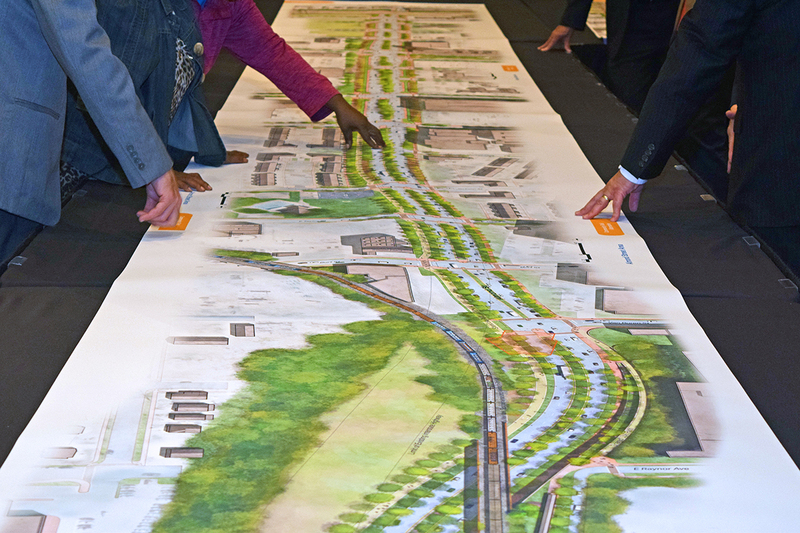 Public outreach is a crucial component to the I-81 Viaduct Project. Through dozens of stakeholder and community meetings, from intimate assemblies to gatherings of hundreds of citizens, the project team has relied on TWMLA’s graphics and staff to communicate the project process and design alternatives to the public. 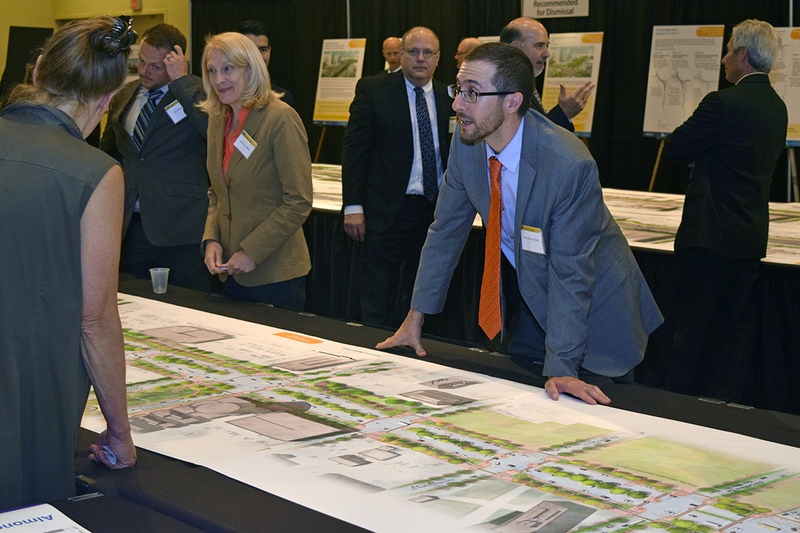 Together with our client and project team members, TWMLA provided staff to communicate with the public, address questions, and discuss suggestions to improve the project at events throughout the greater Syracuse area.